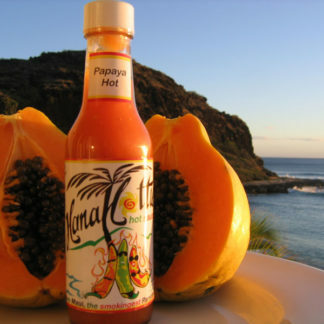 Papaya, the sweet flesh of the papaya makes one salivate just thinking about it. 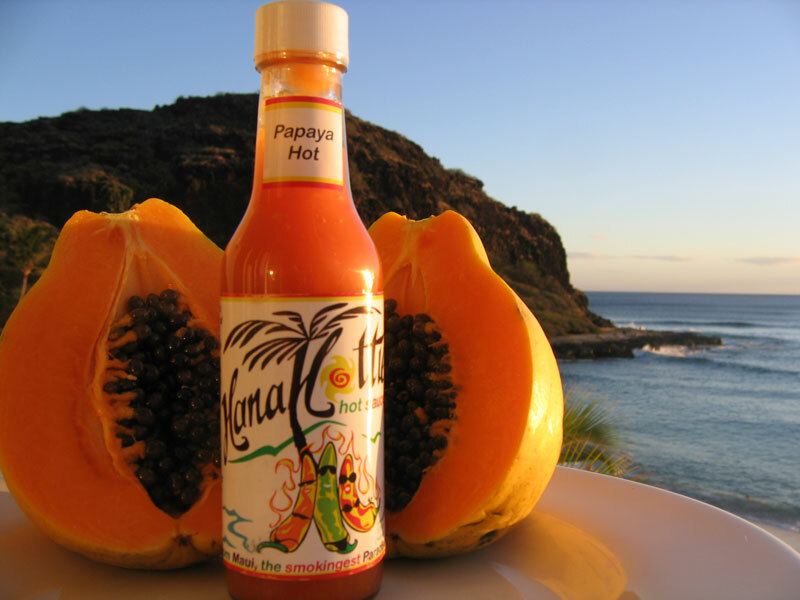 Native to southern Mexico and Central America, it has flourished in Hawaii and of course in our beautiful town of Hana Maui. 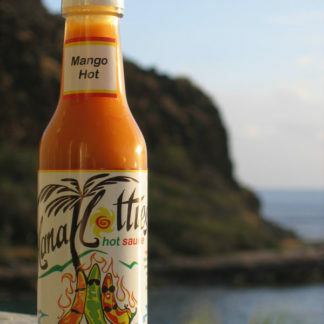 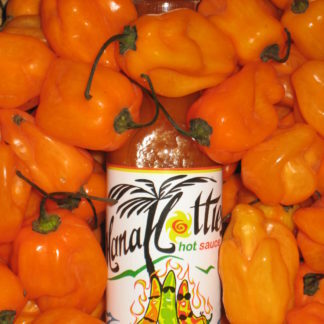 Lucky for us the papaya is available year round, and ready to be blended into our HanaHotties Gourmet Hot Sauce as soon as it comes off the trees. 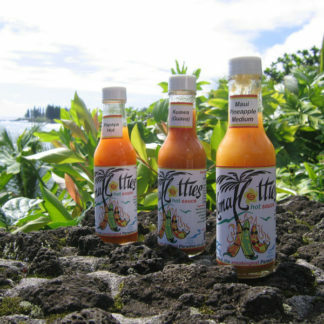 Once you’ve tasted this blend you will want to add it to everything you eat!